Spearheaded by a $115 million gift from visionary philanthropists Tianqiao Chen and Chrissy Luo, Caltech and the Tianqiao and Chrissy Chen Institute are announcing the launch of a campus-wide neuroscience initiative to create a unique environment for interdisciplinary brain research. The goal of the new endeavor is to deepen our understanding of the brain—the most powerful biological and chemical computing machine—and how it works at the most basic level as well as how it fails because of disease or through the aging process. The Tianqiao and Chrissy Chen Institute at Caltech will be supported through the Chens' investment, which includes endowed funds to be used at the discretion of Caltech's leadership to support activities such as seeding new lines of research and supporting promising early-career faculty and scholars. In addition, as part of the neuroscience initiative, Caltech will construct a $200 million biosciences complex named in honor of the Chens that will include state-of-the-art facilities for the Chen Institute at Caltech. Involving faculty from across the university's six academic divisions, the Chen Institute at Caltech will catalyze a campus-wide interdisciplinary community of neuroscientists, biologists, chemists, physicists, engineers, computer scientists, and social scientists, all with the shared goal of understanding the fundamental principles that underlie brain function. The new building will be a nexus for neuroscience research on campus. It will comprise shared lab spaces and centralized areas that foster interaction and collaboration, amplifying and extending Caltech's long traditions in molecular, cellular, and systems neuroscience. As part of the commitment to the partnership, Caltech will also co-invest significant resources to be deployed for the Chen Institute at Caltech's operations. "It is a privilege to launch this vital collaborative effort with Tianqiao Chen and Chrissy Luo," says Caltech president Thomas Rosenbaum, the Sonja and William Davidow Presidential Chair and professor of physics. "We share a vision with our cornerstone partners, the Chens, of translating insights into the fundamental biology, chemistry, and physics of the brain into a deeper understanding of how human beings perceive and interact with the world, and how technological interventions can improve the human experience." Chen and Luo founded Shanda Interactive Entertainment Limited in 1999, which became the largest online entertainment developer and publisher in China. The company has since transformed into a global private investment company. The couple are longtime philanthropists who have provided funding toward medical programs for children in China and Mongolia, supported education for underprivileged families, and contributed to disaster relief and rebuild efforts in China. Through collaborations with top global universities, the Tianqiao and Chrissy Chen Institute's brain research initiative will be focused on three areas: brain discovery, treatment, and development. This gift to Caltech represents the Tianqiao and Chrissy Chen Institute's first investment in this initiative and at an institution in the United States. "Our involvement in the Internet and entertainment industries allowed us to witness the ability for technology advancements to influence human perception, as well as to observe the resultant meaningful effects on human behavior," says Tianqiao Chen, co-founder of the Tianqiao and Chrissy Chen Institute. "However, there is little understanding about how the brain processes and connects what lies in between—sensation, perception, cognition, and action. We believe uncovering how the brain perceives, interprets, and interacts with the world is pivotal in so many aspects. It can shape groundbreaking industries such as artificial intelligence, robotics, and virtual reality. It also plays a critical role in addressing social issues such as aging and behavioral deficiencies. It can even help answer many ultimate questions about life, such as its origin, purpose, and ending. This is the mission of our philanthropy, and we are dedicating an initial one billion dollars to this cause." Chrissy Luo, co-founder of Shanda and the Tianqiao and Chrissy Chen Institute, adds, "We spent two years learning the subject from highly regarded global universities with whom we continue to have conversations. We chose Caltech as our first partner not just for their strong reputation as a leading research institution, but also for the admiration in their natural alignment with Shanda's culture, which is focused on creating excellence and discovery. We have enjoyed the strong working relationship with Caltech and are firmly confident of this partnership." Caltech's pioneering work in neuroscience includes Seymour Benzer's discovery that the fruit fly Drosophila melanogaster could be used as a simple organism to study how genes influence behavior. It is also illustrated by Roger Sperry's Nobel Prize–winning discovery that the right and left sides of the human brain must communicate with each other for proper cognitive function. Caltech also has been the home of achievements in computational neuroscience such as the development of very-large-scale integrated circuits, their application to machine learning and machine vision, and the establishment in 1986 of the world's first graduate program in Computation and Neural Systems (CNS), which continues to this day. "Everything that we are as human beings—our ability to see the world and ask questions about our universe—is rooted in the structure and function of our brains," says Steve Mayo (PhD '87), the Bren Professor of Biology and Chemistry and the William K. Bowes Jr. Leadership Chair of the Division of Biology and Biological Engineering. "One of the greatest challenges and opportunities of our time is to be able to unlock that structure and how it relates to function, which will have an enormous impact on the lives of real people." Led by Richard Andersen, Caltech's James G. Boswell Professor of Neuroscience, the T&C Chen Brain-Machine Interface Center will advance Caltech's work on a new generation of brain-machine interfaces. Caltech investigators have been developing devices that can communicate with and stimulate the brain. Recordings allow intentions to be read out to assist paralyzed people to perform fluid motions using robotic limbs simply by thinking about moving. Stimulation will allow the evocation of new perceptions, helping those who have lost sensation from paralysis or brain diseases. The T&C Chen Brain-Machine Interface Center will support every aspect of this effort, from the investigation of the basic science of intention and perception to technology development and clinical studies. Under the direction of Colin Camerer, Caltech's Robert Kirby Professor of Behavioral Economics, the T&C Chen Center for Social and Decision Neuroscience will investigate two important higher-order core functions of the human brain: making decisions and processing and guiding social interactions. Using the center's resources for computational modeling and brain imaging, researchers from different areas of science will collaborate to understand these two core functions. Their findings will help improve how we make personal decisions, allow researchers to design devices and interventions to benefit society, and inform new treatments for neurologically based disorders such as anxiety and autism. The T&C Chen Center for Systems Neuroscience—directed by Doris Tsao, Caltech professor of biology and a Howard Hughes Medical Institute Investigator—will address the challenge of understanding how a large group of neurons firing in concert gives rise to cognition. The Caltech researchers working in this center will explore the neural circuits and computations that underlie perception, thought, emotion, memory, decision making, and behavior. Scientists within the center will collaborate to tackle each of these brain systems, as well as the larger question of how these systems interact so seamlessly. The center will back their new and best ideas with seed funding, computing resources, and labs in which they can develop powerful new scientific tools. The new Center for Molecular and Cellular Neuroscience, led by Viviana Gradinaru, Caltech assistant professor of biology and biological engineering and a Heritage Medical Research Institute Investigator, will unite a contingent of Caltech researchers who are making discoveries about the brain's anatomy and development, how neurons communicate, and how processes in the brain can go wrong. In bringing these researchers together, the center will catalyze fundamental new approaches that will help us to understand how the brain works as a whole and to develop new instruments and methods for analyzing the roles that cells and molecules can play in perception, behavior, and disease. 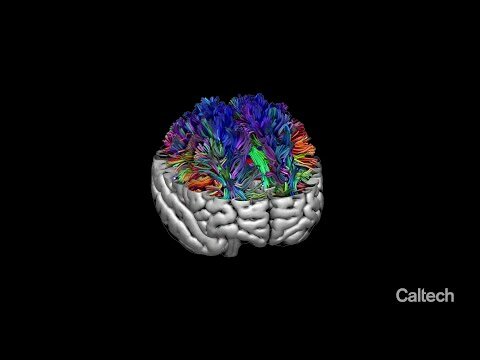 The Caltech Brain Imaging Center (CBIC), originally founded in 2003 through a gift from the Gordon and Betty Moore Foundation and directed by John O'Doherty, Caltech professor of psychology, will make available state-of-the-art instruments and expert staff to provide detailed measurements of the working brain. The CBIC has already made possible more than a decade of discoveries, helping faculty and students gain insight into how people learn and make economic decisions, how they perceive the world and experience conscious thought, and what makes up the neural basis of disorders such as autism, addiction, and congenital brain abnormalities. "Integrating the biology and the social science of how humans make decisions is one of the most promising frontiers for improving the human condition," says Jean-Laurent Rosenthal (PhD '88), the Rea A. and Lela G. Axline Professor of Business Economics and the Ronald and Maxine Linde Leadership Chair of the Division of the Humanities and Social Sciences. "The collaborations that began with the Caltech Brain Imaging Center helped create the new field of neuroeconomics. The Chen Institute at Caltech and its centers will allow us to make new advances to understand why some individuals are so much more successful than others in learning from their social environment." "Modern neuroscience is one of the most interdisciplinary fields of human intellectual endeavor in the 21st century, and no single researcher or laboratory can master all of the diverse approaches necessary to solve the challenging problems of brain structure, function, and dysfunction," Anderson says. "The Chen Institute at Caltech provides an unprecedented opportunity for Caltech faculty and students in different fields to join forces to take on these challenges, by creating new collaborations at the interface between traditional scientific disciplines. Computational approaches—grounded in Caltech's traditional strength in the physical sciences—will provide a common glue that binds these collaborations together." Adds Anderson, "Caltech's traditional strengths in basic biology and the physical sciences provide an ideal crucible in which to forge new tools that will crack the most fundamental problems of brain function, such as perception, emotion, cognition, and communication, as well as to develop radical new therapies for currently intractable brain disorders."